Is Turkey Returning to Civil War? The cease-fire between the government and the Kurdish PKK has broken down, with increasing repression of the media and opposition political activists. On the evening of June 7, Ahmet Yildiz celebrated. The leftist, pro-Kurdish People’s Democratic Party (HDP), which he supported, had succeeded in breaching Turkey’s unusually high 10 percent election threshold—a remnant of the Constitution drawn up by the military junta after the coup in 1980—and entered Parliament with 80 MPs, granting Turkey’s large Kurdish minority an unprecedented political voice. “The streets of Cizre were full of people who were happy,” Yildiz (a pseudonym, to protect his identity) recalled. “We felt that a new time had come for us, that we were closer to peace than ever before.” But three months later, the streets of his neighborhood in Cizre, in the Kurdish region of eastern Turkey, are almost deserted. Residents have hung up sheets and blankets to protect themselves against sniper fire, and most roads into the district have been blocked by trenches and barricades. In early September, Turkish security forces launched a massive security operation against the YDG-H, the urban wing of the outlawed Kurdistan Workers’ Party (PKK), leaving at least 21 residents dead, including children and a 75-year-old man. While the governor of Sirnak province claimed that only PKK militants had been killed, local human rights groups said that most of those killed were civilians. Many others in the predominantly Kurdish southeast agree. The Justice and Development Party (AKP) suffered its biggest setback when voters denied the party an absolute majority for the first time since it came to power in 2002, therefore also snubbing Erdogan’s plan to turn what had been a largely ceremonial post into an executive presidency. The AKP’s loss of a majority government was not least due to the HDP’s success after the newly established leftist grouping had managed to convince thousands of conservative Kurds, all of them previously AKP voters, to cast ballots in their favor instead. The latest clashes were arguably triggered by the suicide bombing in July that killed 33 Kurdish and Turkish activists in Suruç, a small town on the Turkish-Syrian border. The Turkish government blamed the Islamic State, or ISIS, for the attack, but many Kurds in Turkey pointed angry fingers at the ruling AKP, long perceived as actively supporting ISIS against the armed Kurdish opposition in Syria. Then, following the murder of two Turkish policemen by Kurdish militants, the government in Ankara launched airstrikes on PKK positions in northern Iraq and Turkey. In response, the PKK resumed attacks on security forces in earnest. 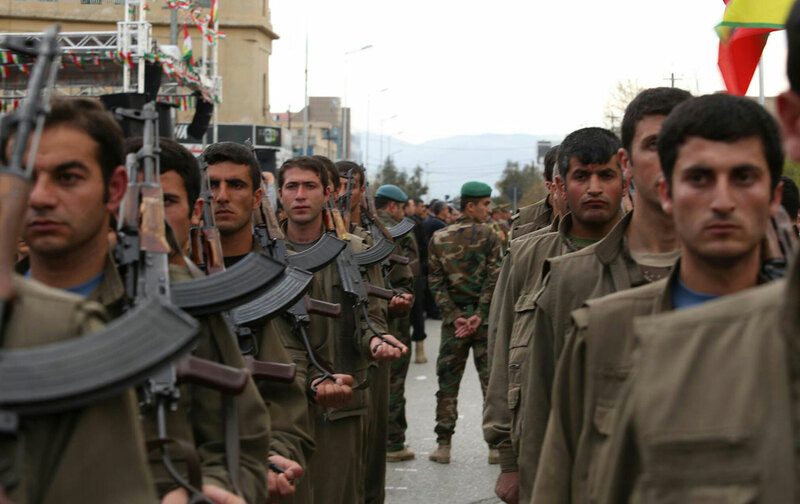 Hundreds of Kurds suspected of links to the militant group were detained in nationwide sweeps. Now the violence risks spiraling out of control, leaving many wondering if Erdogan aims to garner support for the AKP by letting the country descend into chaos, presumably demonstrating that only a majority-AKP government would be able to secure peace and prosperity. After the collapse of coalition talks, with many critics pointing again at Erdogan as the culprit, snap elections were scheduled for November 1, but many fear that amid the growing violence, along with a rapidly deteriorating security and human rights situation, free and fair polling might become impossible. Violence has risen to worrying levels, unseen in Turkey for two decades. Hundreds have died since the cease-fire between the Turkish state and the PKK collapsed in July, putting an end to the fledgling peace process, started in 2012, that aimed to finish a bloody conflict that had killed at least 30,000 people since it began in 1984. Turkish security forces have launched similar operations in other towns all over the predominantly Kurdish southeast, such as Silopi, Yüksekova, Diyarbakir, and Silvan, where the YDG-H is strong. But local residents are often caught in the crossfire, and blanket curfews imposed on whole towns endanger emergency care for those in need of medical assistance. In Cizre several people, including one 35-day-old baby, are said to have died because their families were unable to reach the hospital.